WhatsApp is adding three new features on today. They’re small changes, but worth noting. 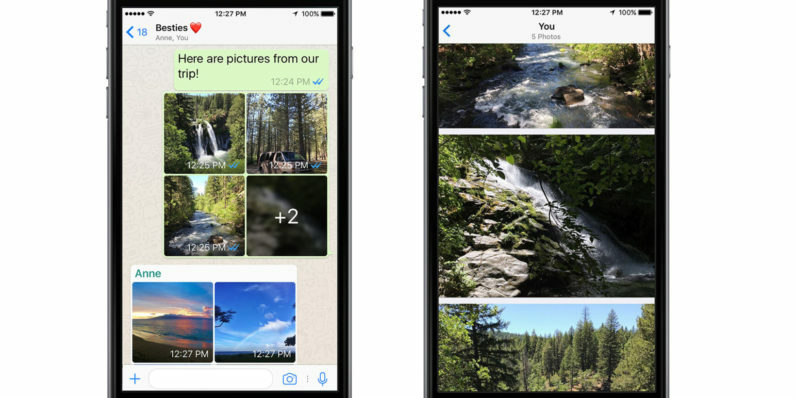 First up, if you send five or more photos/videos at once, WhatsApp will now automatically group them into an album. All this really means is that your images are tiled together to avoid the clutter in your conversations. Tap and you’ll get a full screen view of all the photos in an album, as shown above. WhatsApp is also now catching up a bit with Facebook’s other apps by adding a few filters right in the camera. There are only five at the moment, but they work with photos, GIFs, and videos, so that’s neat. And lastly there’s a new reply shortcut: swipe right on a message and start typing. No word on when the features will hit Android, but I imagine it’s just a matter of time.